Bitcoin is no longer the theoretical money of the future. Plenty of people are trading in Bitcoin and using it to pay for everything from coffees to furniture. Some people even speculate that it will become the currency of the future. If you are trading in Bitcoin or other cryptocurrencies, you may think that you are somehow skirting the system, that you are “off grid.” But The Man always finds a way to take his cut, and you aren’t going to get around your tax obligations by using Bitcoin or cryptocurrencies instead of cash. Basically, the IRS treats cryptocurrencies like property. Just like a gold bar or a house can go up or down in value, so can a cryptocurrency. The IRS taxes you based on what you gain when you trade in the currencies. For example, say you own five Bitcoins that you purchased for $1,200 each. You use one to pay for a $2,000 sofa. Since you only paid $1,200 for the coin but got a sofa valued at $2,000, you now have $800 worth of assets in your possession. Therefore, the IRS would consider that you owe taxes on that $800. The rate at which the gain is taxed depends on how the amount is classified. For example, if the gain is part of an investment transaction, it would likely be taxed at the same rate as capital gains. 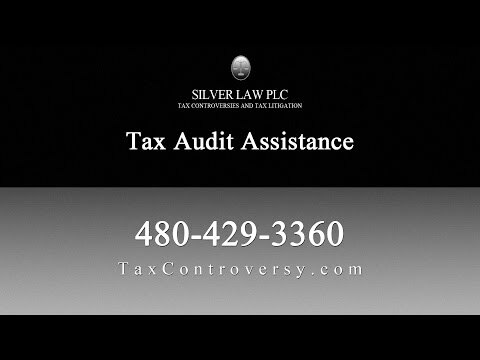 Consulting with a tax law attorney near Gilbert is essential so you know how to classify these gains and pay the right tax rate. If you suffer a loss from your Bitcoin trading, you can also deduct those losses, but there may be limitations. Maybe you have become a Bitcoin devotee and are convinced that it’s the currency of the future. You are buying everything you can with Bitcoin, right down to your daily coffee. So how do you deal with the taxes on those transactions? This is where using cryptocurrencies becomes a bit of a liability. You have to keep track of how much you spent on every Bitcoin and where every fraction of that Bitcoin is going to purchase other items. When one Bitcoin could easily buy 200 coffees or more, that’s a lot of monitoring you’re going to have to do. Careful documentation of all purchases and expenditures is crucial. Always consult with a tax lawyer and an accountant to sort through your tax obligations for these expenses. The more transactions you have, the more complicated your tax reporting can become. You need all the help you can get from the experienced professionals who know tax law inside and out. Bitcoin offers an exciting possibility for the future of buying and selling. Don’t let the somewhat complicated tax rules deter you from using this and other cryptocurrencies. Just work with a good tax lawyer to make sure you’re meeting all your obligations. Silver Law PLC can help. All our attorneys have worked for the IRS in the past, and they are well-versed with all the changes in the tax code, including the evolving rules about cryptocurrencies. We can help you ensure that you are meeting tax guidelines while also minimizing your tax debt. If you have been audited because of your cryptocurrency trading, we can represent you, as well. We will look through your returns and find all the possible ways to reduce your tax debt, either by correcting the way the cryptocurrency was reported or by finding other corrections in your return. Call us today to talk with a tax lawyer.